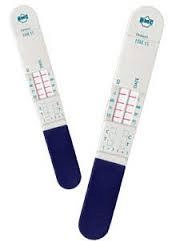 Where to Buy Home Drug Testing Kits – 2 Important Things to Know! “Where to buy home drug testing kits?” is the number one question marijuana users ask when looking for the best place to purchase a home drug testing kit. If you want to achieve the best results using a home drug testing kit, you should be aware of two important things: (1) the best place to buy the kit and (2) what differentiates the most popularly promoted products from one another on the market. 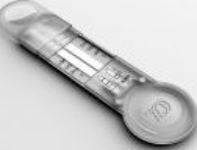 First, for most users the first place that comes to mind when asking oneself ‘where is the best place to buy my home drug testing kit’ is a drug store such as Walmart, Walgreens, or CVS. However, the product selection at the local drug store is usually quite limited. As a result, many users prefer buying their home drug testing kits from online providers. Therefore, we have decided to research the best place to buy a home drug testing kit online. Even though major drug stores, such as Walmart, Walgreens and CVS, offer some home drug testing kits online, it is hard to make a decision as to which offers the best detection kits because of the limited number of reviews and product descriptions provided on their web sites. Amazon.com offers a long list of home urine and saliva drug testing kits on its website. However, because of so many similar products, it is not easy to make a decision as to which home drug testing kit to choose. In addition, Amazon does not provide the detailed products’ descriptions and instructions. 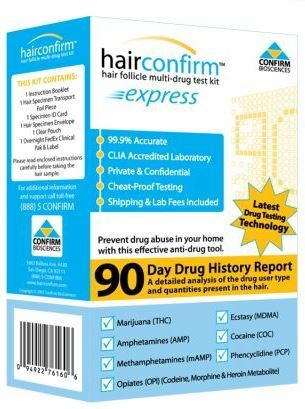 Amazon’s list of hair home drug testing kits is very limited as there are only two reliable manufactures on the market: HairConfirm and Psychemedics. On the other hand, several online stores, such as Testcountry and Testclear specialized in promoting home drug testing kits. They provide a lot of useful information on their products, which tremendously helps their customers make the right choice. Moreover, online stores such as Testcountry and Testclear provide outstandingly helpful and professional customer service via live chat and phone. You can have a straight talk with them about any of their products. Based on your individual situation, you will receive helpful recommendations as to what product is the best for you. Second, in order to make the right choice as to which home drug testing kit to buy, you need to be informed about the main differences among the most popular products on the market. There are three different types of home drug testing kits: urine, hair and saliva. Each has its own special features that you need to be aware of. For most home drug testing kits – including urine, hair and saliva- the price difference at drug stores and online sellers is very small. So, searching for the best deal online will not save you much money. Most online stores promoting home drug testing kits try to offer the best price in the market in order to beat their competitors. There are many different brands of home drug testing kits found at a local drug store and online. We are of the opinion that only online stores specializing in promoting such products offer the best quality products. Since this is their primary business products, such online stores make sure that their clients can purchase the best products at the lowest price on the market. Drug cutoff level is the minimum concentration of drugs or metabolites that must be present in the sample before labs will report drug testing results as positive. Marijuana- Carboxy- THC 50 ng/mL (nanograms per milliliter). 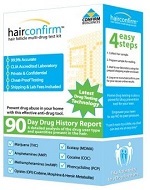 Most Hair Home Drug Testing Kits are designed to detect a very small amount of a drug in the hair. However, if the amount is below the established cut-off level, you may test negative for that drug even though you may have taken it. Some labs’ threshold for detecting certain drugs may be a ‘bit higher’ than others. 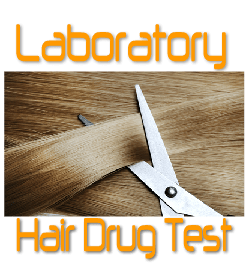 Therefore some hair home testing kits may give a ‘false negative’ when compared against more stringent testing. If you would like to receive the most accurate test result, it is important to pay attention to the cutoff levels of the specific drug test that you plan on using. • Phencyclidine – 10 ng/ml. We present below three comparative charts where you can find a short summery of the most popular urine, hair and saliva home drug testing kits’ features. Have you tried one of the home drug testing kits? Let us know what you think! Hello Renee.. Thank you for sharing. We value such input.